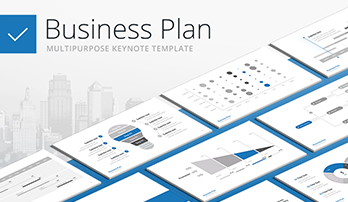 Premium Keynote presentation for Business - Download Now! What is Keynote presentation for? In business environment, there are lots of meetings and conferences. Frequently, the speakers create presentations to prove words and visually present some data, statistics, complex information. The presentations can be made for various purposes: business plans, ideas, reports, proposals, startups, etc. Keynote presentation is a professional premade template that is designed to be your assistant. A business plan is an indispensable tool for any entrepreneur regardless of the level of the business. A properly developed and presented plan helps to prioritize actions, achieve the set goals. However, the presentation plays not less importance in achieving success. Therefore, it is very important to make a lot of efforts to present the plan professionally and vividly so to attract investors. The presentation of the business plan is a clear demonstration of the strengths and weaknesses of the company, organization, the advantages of the service/product, the degree of competitiveness, in cases when the effectiveness of the project is predicted with the help of the accurate calculations and forecasts. The presentation is referred to marketing and PR-tools. One of the main goal of the presentation is to attract the attention of investors, the media, buyers to business, that is why such tool should look vividly, spectacularly and include pie chart template. In the course of speech, the speaker tries to convince the audience of the success of the plans realization, the expediency of activity financing, as well as long-term cooperation. Establishment of benevolent, confidential interaction with the public, potential consumers. When you have a ready business plan, it’s time to start making the presentation. The presentation will be submitted as an electronic, multimedia version, available for displaying on the projector. Due to this fact, besides the text, interactive tools should be present: hypertext links, pictures, animations, music, videos, tables, graphics, charts, so on. But it is not necessary to include all these elements in the Keynote presentation. Everything should be harmonious. And although the main emphasis is on textual information and its reliability, the visual representation of information plays an important role. Visualization of this kind allows your listeners to better perceive information, focus on specific data, and easier memorize the points and questions described in the course of your speech. In addition, the business presentation should be made according to a clear structure, have a certain story and script. The presence of “water” content is unacceptable. Explain how useful your product is, bring marketing research, provide links to statistics, reports of analytical agencies, so that investors do not have any questions to you. It is important to speak about the competitive advantages that your business has. Do not forget to inform the listeners about the successes and experience of your team. It is also necessary to inform the audience about the stage of the project and what development milestones are expected in the future. A win-win option is to focus on numbers. But they must be applied wisely. Do not overload your presentation with data and statistics! the level of profitability and material benefits specifically for the investors. When visualizing information, one should adhere to logic. See that all important business moments are presented briefly, but informative. Being restraint is the first rule when presenting a business project. You don’t have to neglect the quality of the business plan. The document must look professionally. Therefore, filling the presentation and its displaying are two nuances that are of great importance. Using what software is it better to make a business plan presentation? For the development of the plan or marketing presentation ideas as well as its visual display, you can use various programs. They allow you to create templates or slides with text, graphics, sound content, customize the design, add all kinds of effects, navigation buttons, etc. Keynote is one of the most popular and widely used programs for work with the presentations and its creation. With this mechanism, you will get an impressive and colorful presentation for business. Here, you will find a lot of attractive effects, useful tools, functions for joint editing and preparation of the plan. Keynote can be used from PC, Mac and other devices. This program has a clear interface. Although it has more than 30 themes and templates, they are quite boring and commonplace. If you want to impress the audience, present a high-quality informative project, and prove your expertise, choose our unique ready-made template with modern design and keynote portfolio. This template is comprised of 100 unique premade slides. You can choose one of 15 color themes. It is a professionally developed and well-structured template where all slides are properly organized and logically follow one another. To make work more efficient, convenient and quick, we add a full set of modern useful built-in tools. Here, various types of slides are gathered: timelines, biographies, pricing tables, simple text slides, organizational charts, the slides for SWOT and REST analysis, maps, lots of schemes and diagrams, and others. All these slides in combination allows to present any type of information. It is an excellent assistant at work, support and image maker at meetings. If you want to create the presentation quickly, you’re likely to use ready-made templates. In comparison with standard templates, our samples are not commonplace and unique. Therefore, you can be sure that your presentation will impress the listeners and help to create a good reputation. Besides, if you miss some point while speaking, you can easily find it on the slides. Thus, the presentation is your plan. It is also a perfect visualization tool. If your topic is complex or overloaded with monotonous text information, it is advisable to use various visual tools to add vividness to your presentation. These include infographics, models, charts, schemes, pie chart template, etc. On our slides, you can find plenty of such tools. Thus, such way of information presenting guarantees that your listeners won’t get bored or fall asleep after the third slide. They will be interested in your project and easily perceive information provided. The template’s structure allows you to logically build a speech. It is an important option since coherent facts and thoughts development makes it easier for the audience to get the main message and catch the essence of your speech. High quality. If you frequently attend business meetings, you may have noticed that a good startup company presentation has visible defects. This happens due to poor quality of the template. Such nasty trouble may spoil the impression of the whole presentation. That is why it is important to choose high-quality templates. High quality of this template is approved. Working with it, you can be sure that when it is displayed on high-resolution devices, it won’t have visible pixels, cut edges and other defects. Modern design. Although such point as design seems to have a secondary meaning, it is a wrong point of view. Your presentation is an image maker, that is why you should think over every detail. 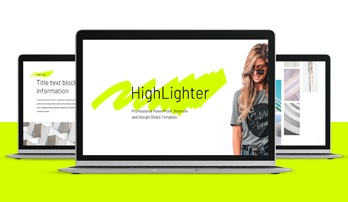 Too bright or conspicuous design may distract the audience from your speech. Too gloomy design looks boring and depressing. As you see, design plays an important role. Our creative presentation idea template has a modern minimalistic design that will be suitable for any meeting and type of project. Printable slides. The handouts are very popular at meetings. it is quite convenient to hand out the printed versions of your presentation report format. The slides that comprise the template are printable. You can print them without loss of quality. Such slides can be presented in a folder for all members of the meeting. Built-in tools. We try to make our templates as useful and convenient as possible. Therefore, we applied vector elements to the template due to which you can edit such characteristics as colors, shape, size. These tools are designed to extend your working opportunities and make it easier to describe business presentation ideas. A premade easy-to-use template. The purpose of this template is to simplify your job responsibilities and save time. Using it for the creation of the presentation, you’ll cope with this task in a few minutes. This slide is characterized by its ease of use; thus, your level of computer literacy doesn’t matter. Even the beginners easily manage the slides. Multipurpose slides. 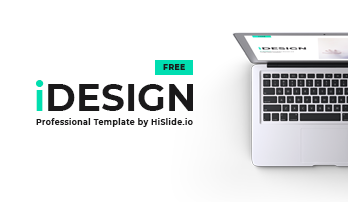 This high-quality professional template is perfectly suitable for the demonstration of various business projects, ideas, proposals, startup company presentation, etc. Choosing it for your presentation, you’ll create a positive impression and prove yourself as a professional. The idea of ​​working with presentation report format is to reflect on the slides the content of the plan and decorate it with photos and diagrams, which should be related to what the speaker will describe. For example, we are talking about the financial side of the business. Then the author of the presentation should depict in it a report of expenses and profits. To reinforce the information, it is desirable to present the results of marketing surveys. First of all, the presentation should be informative. Develop it with a creative approach. You will have to formulate the main topic, find out to whom the presentation will be demonstrated. Remember that too detailed charts, intricate and ambiguous phrases are a common mistake of people demonstrating a creative presentation idea. How effectively to present a business plan? In order not to bore investors and the audience, do not read everything. The worst case is when the speaker constantly looks at the slides and does not take their eyes off them. Use psychological techniques to position yourself to the public and to keep eye contact. Do not miss the moments of changing slides, so your hand should always be on the presentation control button. It is allowed to use gestures. Therefore, take care of not to freeze in place. To entice the public to the presentation process, it is appropriate to ask rhetorical questions about the marketing presentation ideas. The appearance of the speaker also plays a great role. Stick to a business style and dress code. A bright outfit will distract listeners. It is necessary to rehearse the speech in advance as the speakers often use speech parasites in conversations when they get nervous.